Hypothyroidism is also called underactive thyroid disease and is when your thyroid gland does not make enough of the thyroid hormone. The thyroid gland is located in the front of your neck on the lower part. Hormones are released by the gland and travel through the bloodstream and affect almost every part of the body including the heart, brain, muscles and skin. The thyroid controls how the body’s cells use energy from food also known as metabolism. Metabolism affects a body’s temperature, heartbeat and the burning of calories. Therefore, without the thyroid hormone the body processes slow down and there is less energy. 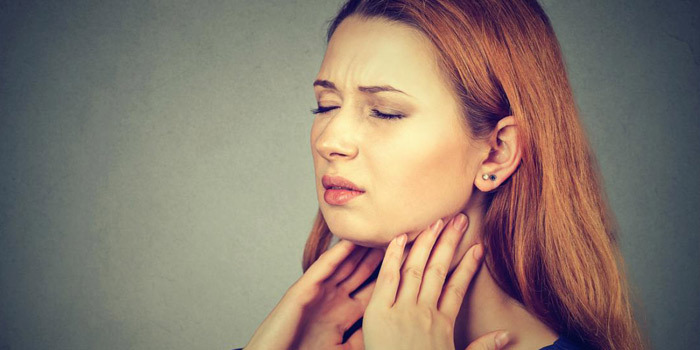 Symptoms of hypothyroidism can often mimic other conditions and can be vague. These symptoms include constipation, slow heart rate, dry skin, dry hair and hair loss, depression, changes in the menstrual cycle, fatigue, greater sensitivity to cold, unexplained weight gain and swelling of the thyroid gland. Treatments for hypothyroidism include a synthetic thyroid hormone called T4. This pill is taken every day and is better than other medications because they may interfere with how your body absorbs synthetic thyroid hormone. Regular blood tests are also key to check thyroid hormone levels and doses of medication may need to change from time to time.